During Winter, our stomach gets warmed up frequently because of the warm clothes we wear all day long. So we need to cool down our stomach frequently. 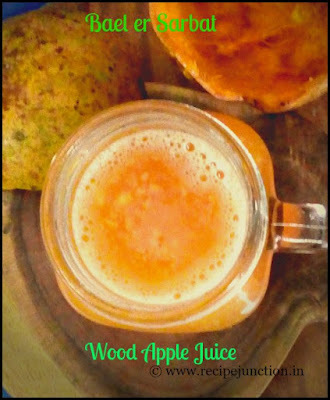 The juice of Bael fruit works wonder on stomach and gives us relief from inflatulences, indigestion and many problems related to stomach. 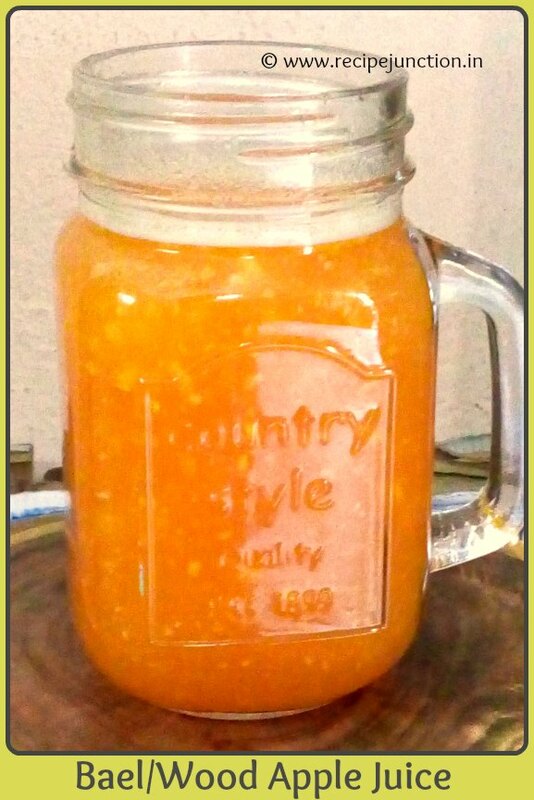 Therefore, I make this bael fruit juice very often during winter. I made a video of making this Bael Fruit juice, too. The wood apple tree is native to India, but is also found in Sri Lanka, Thailand, and various other regions in the southern part of Asia. Their shell of the Bael fruits are tough, and the inside is yellowish pulp, when ripe and has many small white seeds.When ripe, it tastes sweet but raw one tastes bitter. The Bael fruit, in actuality, is an herb with the botanical name of Limonia acidissima. Bael fruit has other names like wood apple, elephant apple and monkey fruit. In some parts of the world, this fruit is called elephant apple because it’s a favorite food of elephants, while in other areas, it gets the name wood apple because of its hard wooden shell. It is actually considered sacred by Hindus, the leaves of this tree and the fruit is used in worshipping God. 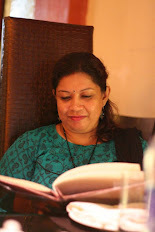 So it is widely cultivated and eaten in India. Bael fruits is great source of Vitamin C, Calcium, Phosphorus, fiber, protein and iron. It is highly beneficial for constipation, indigestion, peptic ulcer, piles, respiratory problems, diarrhea and dysentery. It also boosts the immune system, fights off bacterial and viral infections, reduces inflammation and various inflammatory conditions and also prevents Cancer. Caution : Like any other food/fruits, we have to take some precautions when consuming the Bael fruit. Excessive consumption of Bael fruit causes flatulence in the abdomen, so people with gastric troubles should be careful. Also, if you have never consumed bael fruit before, try a small amount and see how your body reacts. The shell is quite hard, so you have to bang it on floor or on the wall to break it or hit hard with something heavy. Then take out the pulps with a spoon or scoop out with a scooper and keep them in a bowl. Then mash with a masher or with your hand and carefully take out the white seeds. After you mash it completely, add water and sugar according to your requirement. Continue mashing it and take out the wiry fiber like thing from the juice. Squeeze out the pulp from the juice completely. Finally, you can strain the juice and serve it, but I like to drink with a little pulp in it rather than wasting the pulp while straining.